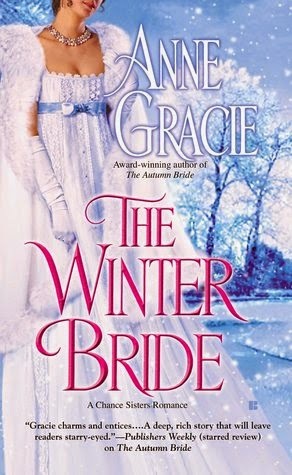 Fake betrothals, passion, humor and a wonderfully charming hero and heroine made The Winter Bride a winner in my book. Add in an utterly unique series set up and I'm even more on board. I love when authors bring something fresh to the table and Gracie definitely brought an interesting set up as the Chance sisters--who aren't really sisters--are brought together to form a family and given a second chance to overcome their sordid pasts. And maybe love along the way. The quick of it is that Freddy's best friend has asked him to watch out for the women in his family while he's away on his honeymoon and the reluctant Freddy gets way more than a handful and a lot more than he bargained for with Damaris and her sisters. Especially Damaris. Damaris and Freddy are kindred spirits. Neither wants to marry. Ever. Life has taught them to avoid it like the plague and by damn they're going to! But as situations change and outside forces try to pressure them the two come to an...agreement of sorts. And my favorite thing. A fake engagement to save Freddy from the marriage mart and all those marriage minded mama's and their muffins of daughters and that will give Damaris the thing she wants most...security and a life on her own. Freddy watched her go, then whistled softly. "Round one to Miss Chance. My mother looks almost crushed. What did you do to her?" "Nothing. I promise you," Damaris said. 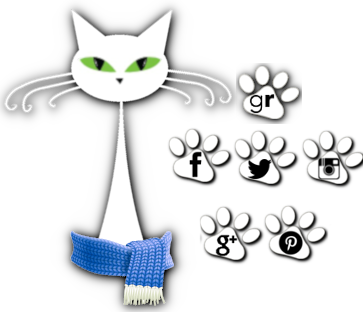 "On the contrary, she has spent the last two hours squashing my pretensions in the most relentless, elegant fashion." "Really?" His eyes danced. "Your pretensions look remarkably unsquashed to me. Quite delightfully perky, in fact." Seeing the direction of his gaze she pulled her shawl across her bosom. "Those," she said with what she hoped was quelling dignity, "are not pretensions." "No? Really? What are they, then? Please explain." She couldn't help but laugh at his wicked, mock-schoolboy eagerness. "You, Mr. Monkton-Coombes, are a shocking flirt." He gave her a wounded look. "Nonsense! I'm a very good flirt, some would even say excellent, though modesty prevents me from saying so." She laughed. "It will serve you right when I jilt you. Nobody will wonder at it at all." "They won't, will they?" He heaved a doleful sigh, but Damaris wasn't deceived, his eyes still danced, blue as the sun on the see. Damaris and Freddy were wonderful. Yall know I struggle with my heroines but Damaris was so one I cheered for and just...liked. She's not your normal heroine. She's been through hell and fought her way out and is going to make a life for herself on her own terms. She's honest and while she can be quiet and reserved sometimes she can also let loose and fight for those who matter. I really loved her and how she was with Freddy. She wasn't afraid to speak her mind or put him in his place and was just solid. The insecurities and strengths in her that were so understandable and tugged at my heart. She's definitely one you can be proud of and respect for how she's survived. And Freddy. Freddy both lifted my heart and broke it. He's definitely a charmer and a little wicked. Gets exasperated and driven crazy by the women (he's so gonna make his best friend pay!) but you could tell he enjoyed them as well. He was honorable and protective and I thought rather funny in how he thought and behaved sometimes. But he also carries an enormous hurt from his childhood and from parents that treat him like trash and the 'spare' he was as the second son. I really just adored him and his exasperated self. The two played off each other nicely. I loved that they both were set on not marrying and determined to live the lives they wanted and not what was expected of them. And seeing them slowly win each other over. Not easy going all the time but delightful to watch their fake arrangement catch up to them. My only complaint is that more than once I got taken out of the story by word/phrase usage that just didn't feel...right. Or historical. Now, most of it-- from what I've looked up or talked over with historical authors I know-- is historically accurate. The things existed--like the turnpike. Or the phrases had been used. But it just wasn't typical usage in historical romances and really had me stumbling now and again enough to be noticeable and cause some aggravation on my part. I did still enjoy the story and overall writing but had to adjust to this part of it. Overall, I had a lovely time with The Winter Bride. The romance swept me away and left me sighing in girly delight. I could have easily spent another few hundred pages with Damaris and Freddy and the people who make up their lives. I'm so looking forward to hearing the rest of their stories.